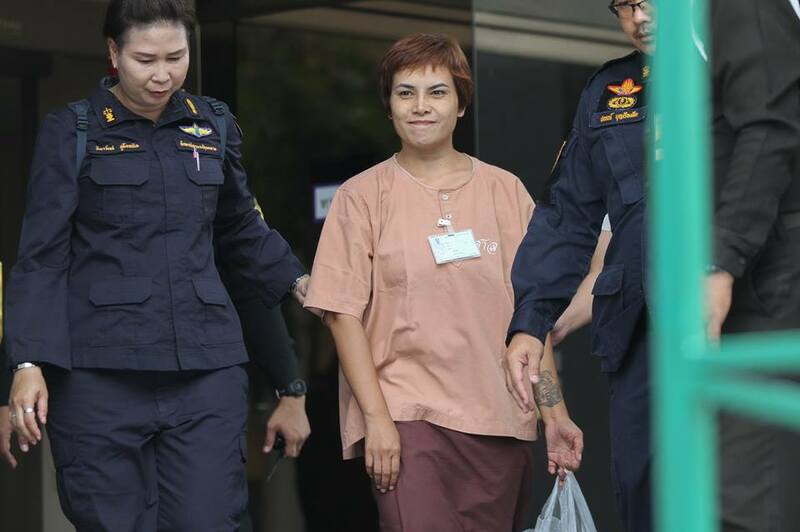 On 4 September 2018, the Bangkok Military Court has allowed Natthathida “Waen” Meewangpla, a former volunteer nurse and a star witness in the post-mortem inquest of six deaths in Wat Pathumwanara, to bail herself out. She has been accused in the Bangkok Criminal Court bomb attack and a lèse-majesté case (royal defamation). Natthathida has been held in custody for more than three years and five months, according to the protracted process under the Military Court. The bail bonds were set differently, 500,000 baht in the Bangkok Criminal Court bomb attack case and another 400,000 baht for the lèse-majesté case. Natthatida was yet another defendant who was just allowed to enjoy the freedom after having been remanded in custody for a long time during the police investigation and trials. A decrease in the number of inmates convicted on the lèse-majesté offense as a result of their exercise of freedom of expression does not, however, tell the whole story. There are still many suspects or defendants accused to have committed such offense whose bails have been denied. According to the Thai Lawyers for Human Rights (TLHR), there are at least nine individuals accused of committing the lèse-majesté offense who remain incarcerated, while fighting charges against them. Yet, their bails have been denied (excluding defendants accused in the arson of kings’ portraits who pleaded guilty). Some of them had applied for bail many times, still, their applications were always rejected as the Courts cited a gravity of such offense and a flight risk. Some are unable to raise enough fund to post bail as the Courts set it quite overpriced– at least 300,000-400,000 Baht per person. As a result, these impoverished suspects had not enough money to post bail, although the Courts agreed to free them temporarily. “Waen” Natthathida, herself, had to raise 900,000 Baht to post bail in two separate cases. The United Lawyers For Rights & Liberty and activists had to resort different ways to raise this fund in over the past three months. Defendants who are still remanded, while fighting the charges in the Military Courts have to endure a protracted process of witness examination. The Military Courts have adopted a different approach from the Civilian Court and usually conduct a hearing every two or three months. As a consequence, to complete witness examination in one case may take several years. Given these circumstances, some defendants in the lèse-majesté cases, whose bails had regularly been denied, have decided to retract their testimony and pleaded guilty, instead. The following inmates are those who have been being imprisoned for a long-term up to the present. Until now, Siraphop (last name withheld) or Roongsila has been incarcerated for more than four years and two months. Siraphop, 55, a construction contractor also wore another hat as a writer and a political poet. He wrote articles and poetries criticizing the society and the politics and published them online on various websites. His incarceration stemmed from his three poetries published online. He was accused of breaching the Penal Code’s Article 112 (the lèse-majesté) and the Computer Crime Act. One of the poetries was published on Prachatai website since 2009, whereas the other two were published on his personal weblog and his personal Facebook account during 2013 and 2014. In the wake of the coup, he was apprehended by military officials on 25 June 2014 and was later held in custody at a military barrack in Khon Kaen and Bangkok for seven days. Then, he was pressed with charges for disobeying the NCPO’s summonses and other offenses against Article 112 and the Computer Crime Act into his hand. Since then, Siraphop has been remanded in custody by the order of the Bangkok Military Court from 3 July 2014 and was incarcerated at the Bangkok Remand Prison. Previously, his family had tried six times to bail him, yet all the bail applications were denied by the Military Court. The latest application was submitted in April 2018, as his relatives posted 500,000 Baht as a bail, but it, again, was rejected by the Court. 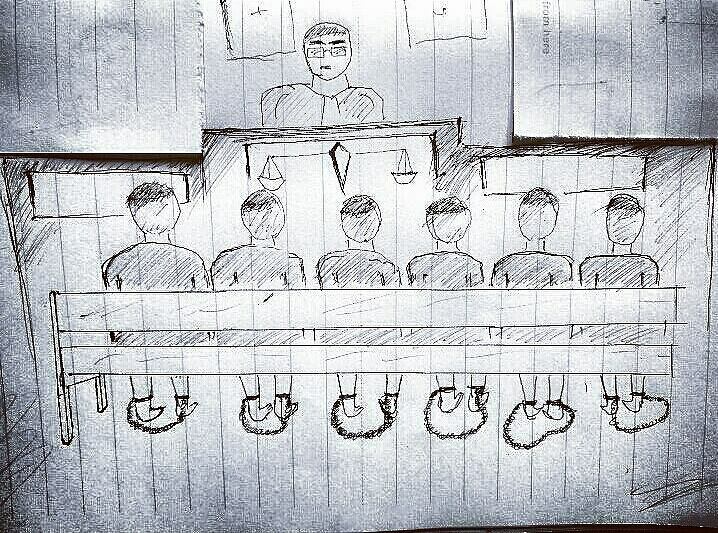 Since the indictment issued on 24 September 2014 by the Military Prosecutor and Siraphop’s insistence on pleading not guilty, only three out of 13 witnesses have been examined. Beyond that, the Military Court even had all the hearings conducted privately. Given such protracted witness examination process, it would take more than a year until the Military Court could deliver a verdict. Anchan has been accused of committing 29 counts of the lèse-majesté offense, considered the highest counts of which have ever been reported. Mrs. Anchan (last name withheld), 60, is a former government official of the Revenue Department. Prior to her arrest, she was about to retire from her office after having been working for more than 30 years. Additionally, she also earned her living by doing a direct sale of herbal products. Having high blood pressure and diabetes, Anchan has always been on medication. During the raid of her residence by military officials on 25 January 2015, she was arrested and deprived of liberty for five days in a military barrack. She was, then, charged with the lèse-majesté offense and a breach of the Computer Crime Act as a result of her alleged uploading of audio clips recorded by “Banpot” on Youtube and Facebook. The uploading of audio clips has landed her charges including 29 counts. It was alleged that her offenses were committed from 12 November 2014 to 24 January 2015. Anchan has been remanded in custody since 30 January 2016. Her relatives tried to post bail for her, but it was denied by the Military Court. The latest bail application was submitted in April 2017 of which a land title deed worth one million Bath was proposed. The Military Court, however, rejected the bail application– citing the high penalty rate of the offenses and the flight risk. Consequently, Anchan has been incarcerated until now. Her trials in the Bangkok Military Court have been slowly progressing, as she previously decided to plead not guilty. Since the indictment issued on 23 April 2015 by the Military Prosecutor until now (more than three and a half years), only seven of 11 prosecution witnesses have been examined, while two more defense witnesses are pending the examination. It should be noted that Anchan was accused of being one of 14 suspects/defendants allegedly involved with the production and dissemination of Banpot’s audio clips. Each of them has been charged separately with a different number of counts. Anchan faces the highest number of counts, 29, while Thara, another defendant, faces only six. Initially, Thara wanted to fight the charges, but eventually, he gave up and pleaded guilty given the Military Court’s legal process at a snail’s pace. As a result, he was convicted and sentenced to 18 years and 24 months and, therefore, still remains incarcerated. Other defendants accused of being a part of Banpot’s network face only one count each, including Banpot himself, although he was the one who spoke in those problematic audio clips. The rest of the defendants pleaded guilty and were imprisoned by the Military Court’s verdict to 3-5 years each. Most of them have already been freed from the prison as their punishment was reduced during special occasions of the country in 2016. Siraphop’s case alike, the Military Court has conducted all hearings in the case against Anchan privately. No observers or other parties are allowed in the hearing room. The trials have, thus, been going on quietly. Suriyasak, 50, a former core member of the UDD in Surin earns his living by selling groceries in the province. Suriyasak was among the nine individuals held in custody by the military and police during the raids in March 2017. 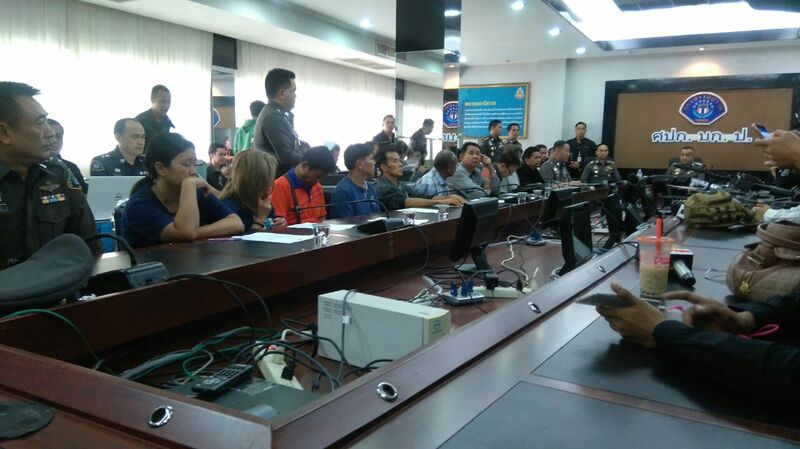 During the post-raid press conference, the authorities claimed these individuals were a part of the network of Mr.Wuttipong Kotthammakhun as known as “Ko Tee” and the confiscated firearms and ammunition had also been found in various raided areas. All of them have been charged with terrorism by the Department of Special Investigation (DSI) as a result of their involvement in the political demonstrations in 2010. Suriyasak himself was arrested by more than 15 military and police officials at his home in Surin. He was then taken into custody at the 11th Military Circle. Aside from the terrorism charge, he was later pressed with charges concerning the violation of the Penal Code’s Article 112 (the lèse-majesté offense) and the violation of the Computer Crime Act by the Technology Crime Suppression Division (TCSD). It was alleged that in July 2016, he had sent a message on the Line application which was deemed offensive to the monarchy and the military officials detected it. 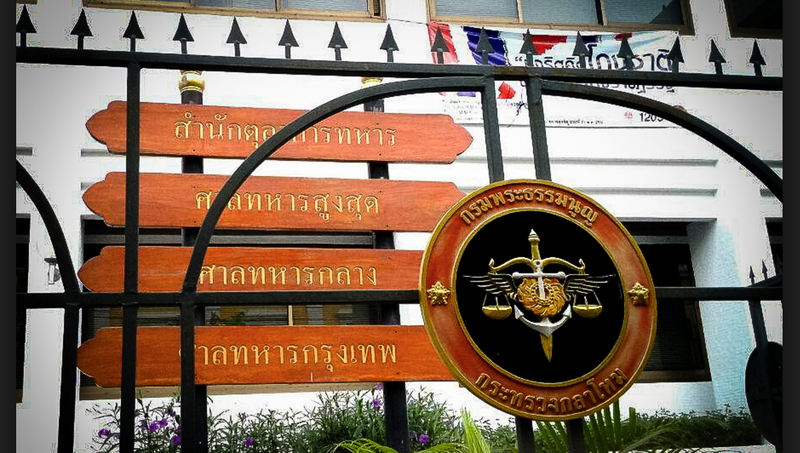 Among those allegedly involved in the “Ko Tee Network”, other suspects who had not been accused of the lèse-majesté were bailed out after 84 days of the maximum pre-trial detention, although the investigation reports had not been completed and their cases had not been indicted. There is only Suriyasak who still remains incarcerated for the lèse-majesté offense (the predicament of which is similar to Waen’s) and is indicted by the Bangkok Military Court. 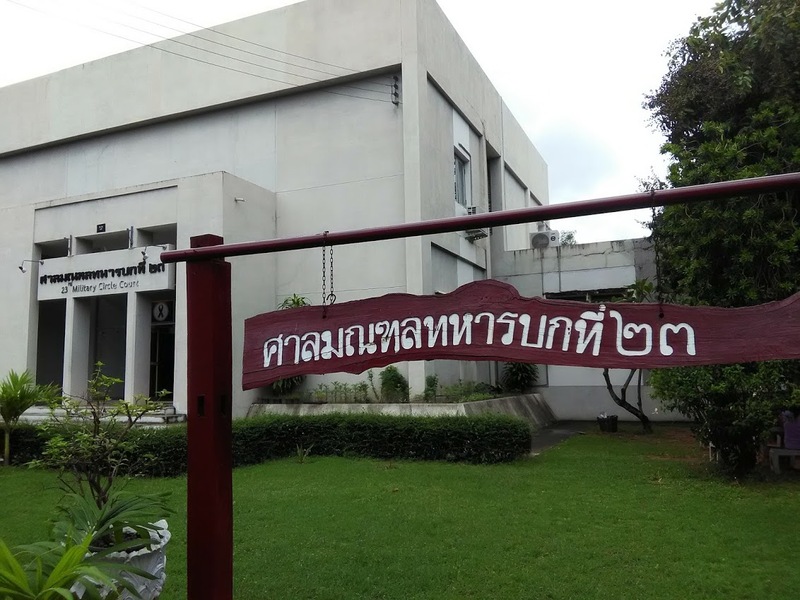 There have been three attempts to bail him out, but all the attempts were rejected by the Military Court, even though he had posted it as high as 800,000 Baht for the bail. Up to now, it has been a year and five months that Suriyasak has been imprisoned in the Bangkok Remand Prison. He still insists that he is not guilty. However, the witness examination process has not yet to be conducted in the Military Court. Pol. Sgt. Maj. Prathin and Nathapol were arrested in their homes in Khon Kaen in November 2015. The NCPO and military officials initially claimed it was an arrest of individuals believed to hatch a plan to sabotage the ‘Bike for Dad’ event. Arrest warrants were later issued by the Bangkok Military Court for the nine individuals in charges concerning the lèse-majesté offense. Moreover, the arrest warrants were additionally issued to another seven individuals on the offense against the Computer Crime Act. While two of them were arrested, other two turned themselves in. Only one of them already remained in custody for a previous offense. Two had decided to flee and remain at large. The six individuals have been remanded in custody at the Nakhon Chaisri Temporary Prison located in the 11th Military Circle. During this time, one of the six individuals was released. The case against Pol. Sgt. Maj. Prathin and four other persons (Veerachai, Wallop, Pahiran, and Thanakrit) for committing the lèse-majesté offense. It was indicted by the 23rd Military Circle Court in Khon Kaen. It was alleged that from August 2014 until 24 February 2015, the five defendants and the other who still remained at large, and were not brought to court had chatted and shared three offensive statements about the monarchy and the heir apparent. The offense was allegedly committed in the presence of other two individuals. The case against Pol. Sgt. Maj. Prathin and another person (Nathapol) for committing the lèse-majesté offense and the violating of the Computer Crime Act has been indicted by the Bangkok Military Court. Later, the case has been transferred to the 23rd Military Circle Court. The defendants stood accused of two counts as a result of their conversation on the Line application deemed an offense against the Penal Code’s Article 112. Also, the message that Pol. Sgt. Maj. Prathin wrote down in his personal notebook was deemed offensive to the King. Altogether, six of them have been prosecuted with only a charge each, while Pol. Sgt. Maj. Prathin is facing two charges. All of them have been transferred to and held in custody in the Khon Kaen Prison until now. Three of them including Pol. Sgt. Maj. Prathin are defendants in a previous Khon Kaen Model case, and all of them had been temporarily freed prior to this case. However, their bails for the lèse-majesté offense have been denied. Some defendants with adequate money have attempted to post bail for themselves three times. They, unfortunately, have all been denied by the Military Court, even though the bails were applied after the examination of the only prosecution witness who said he had had no idea about the involvement of the defendants, and the commission of the crime and the prosecution had not objected the bail. Nonetheless, six of them decided to fight the charges. Thus, the hearings are conducted privately at the Khon Kaen Military Court. Yet, another doubtful point, as it was claimed during the press conference, is that these individuals had prepared an effort to sabotage the Bike for Dad event. Nevertheless, all of them have been indicted on the lèse-majesté offense which is irrelevant to the Bike for Dad event as claimed in the press conference. According to the description in the plaint filed by the military prosecutor, they were alleged to have talked, while being held in the prison, and sent personal Line message as well as wrote messages on the personal notebook. Until now, all of them have been incarcerated for over two years and ten months. In yet another glaring case, despite not fighting the charges, the defendants have been incarcerated all along. 11 defendants have been accused of setting fire on the kings’ portraits in different locations in Khon Kaen province in early May 2017. Initially, the arrests had been made against a teenager, a 14-year-old-boy and other young adults who have then been held in custody at the 11th Military Circle for six days. Nine of them were later handed over for filing charges by the police. Eight of them have been indicted with the Phon Provincial Court in three separate cases in three locations. Charges filed against them included being members of a secret society, conspiracy, being complicit in the commission of arson, causing damage to properties, and the lèse-majesté offense, while the teenage boy was indicted with the Khon Kaen Juvenile and Family Court on the same charges. During the initial hearings, all of the defendants have pleaded guilty to the arson and damaging public properties offense, while pleading not guilty to other charges including the offense against the Article 112. They claimed they had no intention to commit such a crime. But later, all the defendants have changed their decision to plead guilty to all charges, and the Court has convicted them and sentences them to a different term of imprisonment. Later the six teenage defendants decided to appeal the two cases. On 11 April 2018, their attorneys filed a motion of appeal to the Court to ask for their imprisonment to be put on hold for the period deemed appropriate by the Court or to have the defendants pay the fine or conduct social services. The cases are pending in the Appeals Court. The defendants have not enough fund to post bail. Therefore, they remain incarcerated during the trial. Two more defendants, Mr. Preecha, and Mr. Sarote have been arrested on the same charges. They were then indicted in three separate cases. Both have pleaded guilty to the charges and have been convicted and sentenced to 12 years and six months each, although the lèse-maj·es·té charges against them were dismissed– different from the nine defendants who had been earlier convicted and sentenced on the lèse-majesté charges. The cases against the latter two defendants are pending the appeal, while they both are still being imprisoned. For more information about the case, please see the 12.5-year-mprisonment of two arson defendants in three cases and dismissal of lèse-maj·es·té against them. Apart from those remained incarcerated as the cases against them are pending in the Court, there are many accused whose cases have seen their final verdicts, yet, they still remained in the prison. According to the Thai Lawyers for Human Rights (TLHR), there are at least 18 prisoners convicted by the final verdict on lèse-majesté offense who still remain incarcerated (only those convicted on lèse-maj·es·té as a result of their exercising freedom of expression, excluding those convicted for committing a fraudulent act deemed offensive to the monarchy). Several prisoners have been sentenced to harsh punishment as they were indicted on many counts. As a result, they remain incarcerated even now including the case of Wichai who was convicted by the Bangkok Military Court on ten counts/statements, each of which earned him seven years. Altogether, he was slapped with a 70-year-imprisonment. It was reduced by a half to 30 years 60 months given his guilty plea. It is the harshest punishment so far in such cases. Pongsak has been sentenced to prison by the Bangkok Military Court for six statements, each of which earned him ten years in jail. Altogether, he was slapped with 60 years of imprisonment, and it was reduced by a half to 30 years. Sasipimon was convicted by the Chiang Mai Military Court and sentenced to 56 years for posting seven statements, each of which earned her eight years. It was reduced by a half to 28 years. 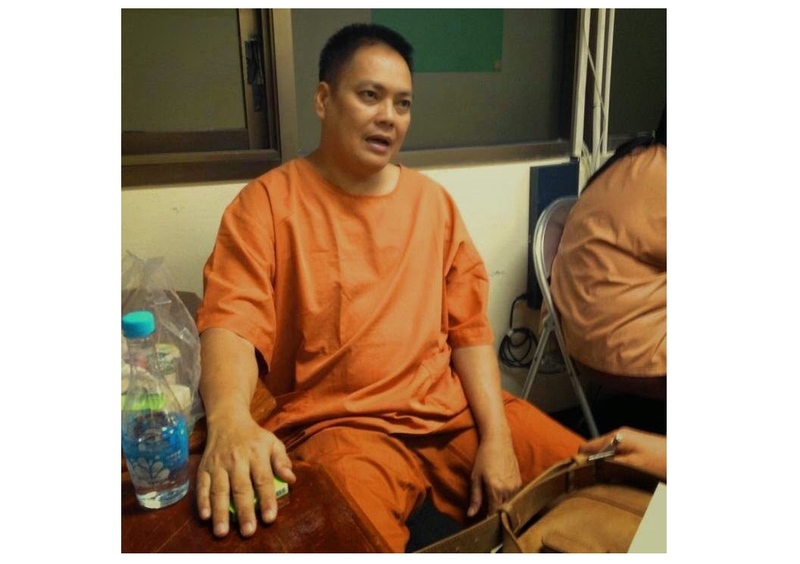 Thiansutham was convicted and sentenced by the Bangkok Military Court to 50 years of imprisonment as a result of posting five statements each of which earned him 10 years. It was eventually reduced to 25 years. This is yet to mention another case of a prominent student activist, Jatupat Boonpattararaksa, aka “Phai, Dao Din” who has since December 2016 been imprisoned for sharing the BBC Thai’s profile of King Rama X. Though pleading not guilty in the beginning, after two days of witness examination, he changed his mind and pleaded guilty. The Court convicted and sentenced him to five years. Later, it was eventually reduced to two years and six months. So far, he must remain in the prison for another nine months. Last but not least, the case of Thanat, aka “Tom Dundee”, a Red Shirt activist, who was indicted on the lèse-majesté offense in four cases. Even though the latest two cases were dismissed by the Court earlier this year, he still remains in prison to serve the punishment resulting from the two previous cases in which he pleaded guilty and found himself sentenced to ten years and ten months in those two cases. Despite many changes in the use of the lèse-majesté offense at the present, the incarceration of “prisoners of conscience” or in other words “political prisoners” does continue. 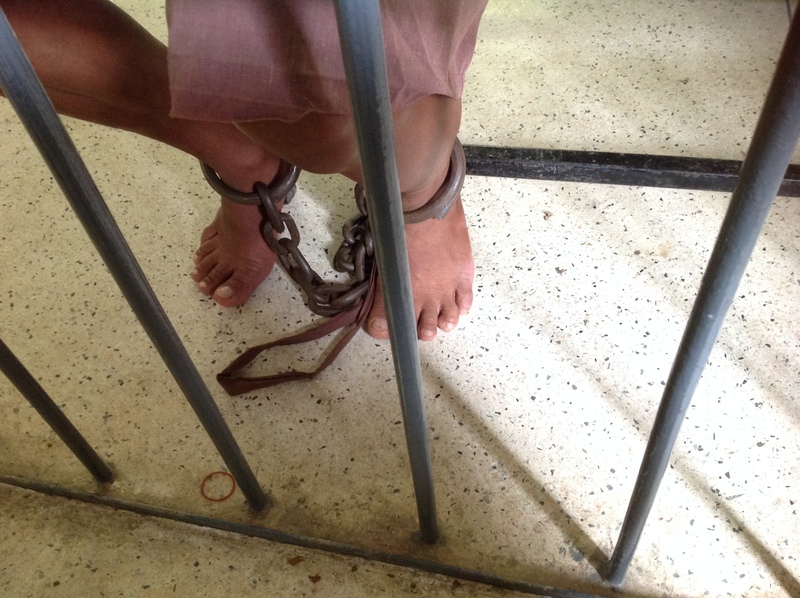 Many women and men who have been charged with the offense still remain imprisoned.